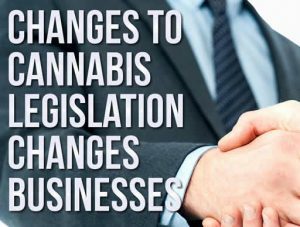 Changes to cannabis legislation changes cannabis businesses. June has been busy for cannabis legislation in the state of California. Legislators heard cannabis bills for commercial regulation, tax revenue, enforcement, applications and licencing Let’s take a look at the Bills and how politicians voted. AB 1741 is an exemption for businesses from paying their monthly tax bill using electronic transfer. It is for businesses that do not earn an average of $20,000 and over and the exemption will be in place until January 1, 2022. It passed the State Assembly with a vote of 61 – 12 with five abstaining from the vote. It went to the senate for a second reading on June 14. The committee referred it back to the Committee on Appropriations for amendment. AB 2555 is to amend the Business and Professions code. It aims to define the difference between a plant, and a mature and immature cannabis plants. The Bill will also change the need to give every plant a unique identifier to only mature plants. The Senate Business, Professions and Economic Development Committee postponed hearing the Bill on June 11. The next hearing is set for June 25. AB 2799 AB 2799 requires businesses applying for a cannabis licence to provide a statement that employees have completed a health and safety course. If not, they must hire one supervisor and one employer to complete the Divisional of Occupational Safety and Health course. The Senate Business, Professions and Economic Development Committee passed the Bill on June 11 with seven yes votes and one no. The committee referred the Bill back to the Senate Appropriations Committee. The next hearing is due on June 25. AB 2721 will allow people over the age of 21 to have cannabis samples tested at testing facilities. The cannabis must be grown by the applicant for personal use. Test records must be in the name of the person requesting a test and record how much cannabis they submitted for testing. The Senate Business, Professions and Economic Development Committee passed the Bill on June 11 with a vote of seven yes and two who did not vote. The committee referred the Bill back to the Senate Appropriations Committee. The next hearing is due on June 25. AB 1996 aims to setup the California Cannabis Research Program using the Californian Tax Fund. Its purpose is to carry out cannabis research. The Bill will allow the program to grow cannabis for this purpose. It passed the assembly unanimously. The Senate Business, Professions and Economic Development Committee passed the Bill. It passed with 10 yes votes and two did not vote on June 13. The Bill has now passed on to the Consent Calendar. The purpose of AB 1744 is to provide funds for the After-School Education and Safety Program. Schools can apply for a grant to deliver after school programs to promote healthy living and behavior. Its purpose is to reduce and prevent substance abuse to improve their performance at school. The Bill passed with a yes vote of seven on July 13. The Committee referred it back to the Senate Health Committee for another hearing on June 20. AB 873 allows the Department of Food and Agriculture to train and hire people outside of the police force. These individuals will have the power to arrest and serve warrants on people. It allows the Department to train investigators and an investigator manager or supervisor. They will be independent of the police force. This Bill gives empowers them to investigate commercial cannabis operations to enforce regulations. The Senate Public Safety Committee passed the Bill on June 12 with seven yes votes. They referred it back to the Senate Appropriations Committee. The next hearing date is June 25. The purpose of AB 3067 is to stop online advertising and promotion of cannabis products and services to people underage. The Senate Business, Professions and Economic Development Committee passed the Bill on June 11 with a yes vote of eight. The Committee referred it back to the Senate Judiciary Committee. SB 1127 will protect students who use medical cannabis. All school records remain confidential and not released publicly without a federal court order. The purpose of this Bill is to protect the privacy of minors taking cannabis for medical reasons. It passed with four yes votes, one no vote and two did not vote, on June 13. The Committee referred it back to the Senate Judiciary Committee. So, what does this mean for cannabis businesses? There are several technical changes to cannabis legislation in the pipeline. 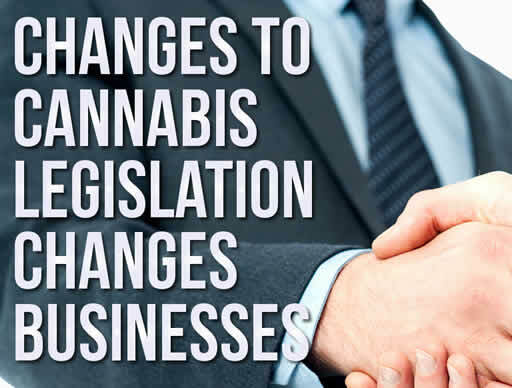 Keep these in mind so your cannabis business remains compliant with the latest legislation.